In 1983, the late Mrs. LaVerne Davis recommended that Mt. Zion Baptist Church serve a free hot meal to members of the church and community that were unemployed. 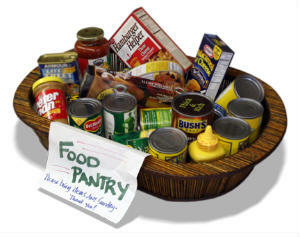 This idea would also be the beginning of the LaVerne Davis Project HELP Food Pantry. This ministry provides help to church and community members that are in need of food for their families. Non-perishable food items are distributed to individuals and/or families throughout the week as needed. Project HELP also supplies backpacks of food to less fortunate children at Emerson Elementary School. The food pantry is always in need of non-perishable food items to bless the community with…so donations are always accepted and very much appreciated!